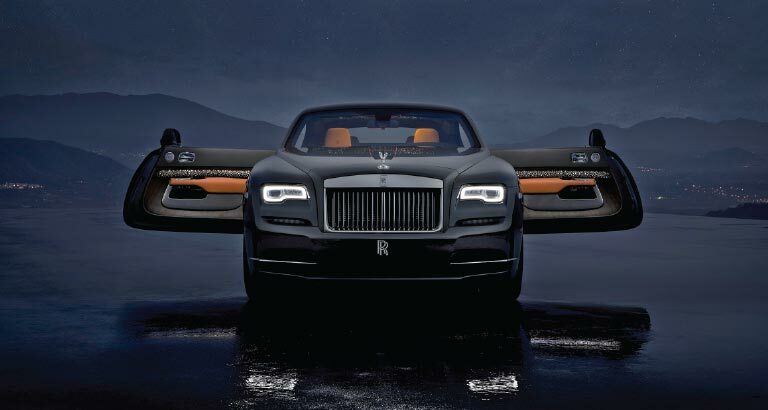 In a bold expression of dynamic luxury, Rolls-Royce has unveiled the Wraith Luminary Collection. Inspired by those who lead where others follow, the collection will light the way for the luxury trailblazer. Its many luxurious features include first-ever shooting star headliner – eight shooting stars fire at random, predominantly over the front seats; world debut of illuminated wooden panelling; stainless steel hand-woven fabric incorporated into the cabin; and global debut of Sunburst Grey paint – solid grey with rich copper tones. As a final touch, ‘WRAITH LUMINARY COLLECTION – ONE OF FIFTY-FIVE’ is engraved in hand-polished stainless steel on the car’s tread plates.